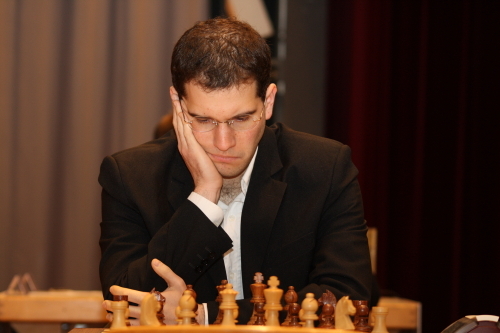 Alexander Ipatov – What are your highest achievements in chess? 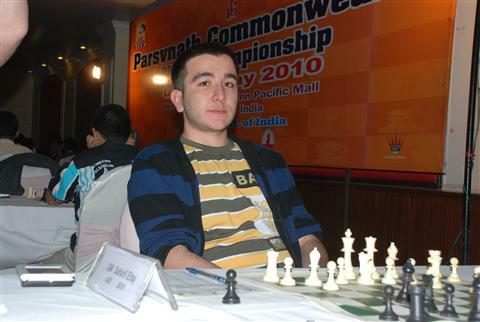 Eltaj Safarli – I am many times Champion and medalist of the European and World Youth Chess Championships. I was also the winner of the international tournaments like Hoogeven 2007, shared Benasque 2010, Chigorin Memorial 2010. The Champion of the Higher League of Azerbaijan 2010. A.I. – How do you prepare? Do you have sparring-partners, coaches? How many hours do you train daily? E.S. – According to the intensive tournament schedule, I am not able to work on all components of chess play, but after finishing the Chigorin Memorial I will have more time for deeper study. My sparring partner and friend is Djakhangir Agaragimov. A.I. – What is chess for you? A profession, hobby, art or passion? E.S. – For me chess is a profession and art. A.I. – What is your opinion about the organization of the 2010 Chigorin Memorial? E.S. – I’d like to say a “big thanks” to the organizers of the Chigorin Memorial, WGM Irina Sudakova and Mr.Vladimir Bykov. The organization of the event was on the top level. A.I. – What are your next tournaments? E.S. – In the forthcoming events, probably, I will take participation in Bansko Grand Chess Open 2010. A.I. – You are playing for one of the strongest European clubs – “Socar”. Can you give us insights about your club? What goals did the Board of Directors set in front of the players? E.S. – The Chess Club “Socar” was formed earlier this year. My club was playing for the first time in the European Club Championship. “Socar” is very ambitious, and although we didn’t win this year’s ECC, I am certain that next time we will take a medal in that event. I am very grateful to the Vice-President of the Azerbaijan Chess Federation and the Manager of “Socar” Mr.Mahir Mamedov for establishing such a great club. A.I. – At the recently finished Chess Olympiad in Khanty-Mansiysk you were playing for the National Team of Azerbaijan. Tell us about your and team’s performance there. E.S. – In the Chess Olympiad our team and myself didn’t have enough luck but again I hope that on the next Olympiad we will be among the medalists. talented juniors in Russia, who is participating at the Chigorin Memorial. At which age did you start playing chess and what are your main achievements in chess? open 2010 (the Stage of Russia Cup). Alexander Ipatov : Quite an impressive run so for. For which club are you playing now? 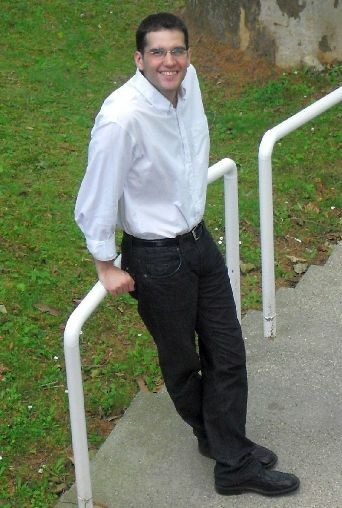 Alexander Ipatov : How are you working on chess? Who are your seconds and coaches? Nikitin (ex-trainer of Karpov, Kasparov, etc). Alexander Ipatov : What do you think about the organization of the Chigorin Memorial? 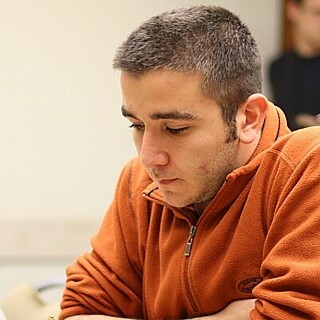 Alexander Ipatov : What are your following tournaments? immediately after the Chigorin Memorial. Alexander Ipatov: Here we are at the Chigorin Memorial with one of the organizers – WGM Irina Sudakova. Thank you very much for giving the interview for Chessdom. How did you manage to organize such strong tournament as the Chigorin Memorial? It literally collects hundreds of titled players! Irina Sudakova: Hello, Alexander. It might seem surprising, but there are not so many big international tournaments in Russia. “International” often means that there only are players from former Soviet Union republics – which is not the case for Chigorin Memorial. Of course, we invite the high rated grandmasters, but many people just come to take part in the strong tournament, see the city and enjoy their time here. Alexander Ipatov: The Director of the Chigorin Memorial is Mr.Vladimir Bykov. Can you tell us more about him? Irina Sudakova: Vladimir is a lecturer at St.Petersburg University of Economics and Finance. About 10 years ago he started organizing the University team for local events like city universities championship and similar – and at some point it was decided to try with a professional team. In 2002 the Finec team appeared and took part in Russian women’s club cup. Then it went on and on, and now our team is silver medalist of European Clup Cup in Plovdiv, and Vladimir is St.Petersburg chess federation’s vice-president and director of M.Chigorin Memorial. 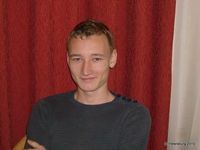 Alexander Ipatov: As far as I know the last year the tournament took place in another hotel? What is the reason for the change this year? Irina Sudakova: Yes, last year the tournament was held in Holiday Inn hotel. It opened only few months before the event, and for this reason it was possible to get great discounts. This year their prices went higher (which is normal for a high class hotel) and we had to move as it’s important for us to keep the prices for accommodation at the level acceptable for the Russian chess players. Alexander Ipatov: Who is the sponsor of the festival? Irina Sudakova: Two years ago the C.E.O. of Gazpromtransgaz St.Petersburg Mr. Georgy Fokin became the president of our city chess federation and since then Gazprom is our sponsor. The traditional M. Chigorin Memorial was brought up to new standard. Alexander Ipatov: On which media the Chigorin Memorial is covered? Irina Sudakova: It’s not easy to get their attention – everybody is too much interested in FC Zenit The tournament is covered on NTV, radio Mayak and others, our own website www.totalchess.spb.ru, and the biggest European chess sites, like Chessdom. Alexander Ipatov: Are you going to organize the Chigorin Memorial the next year? Irina Sudakova: Yes – if we have money for it, of course! Alexander Ipatov: Tell us more about yourself. What is chess for you: a profession, a hobby, a passion? Irina Sudakova: I used to be a chess player for a long time. Unfortunately, it’s not easy to make a living only by playing tournaments being a female grandmaster. So 2 years ago I decided to quit and now I work in St.Petersburg chess federation. Chess is like a disease that can’t be completely healed, so I still play once in a while mostly some rapid or blitz, but I don’t depend on my results anymore.